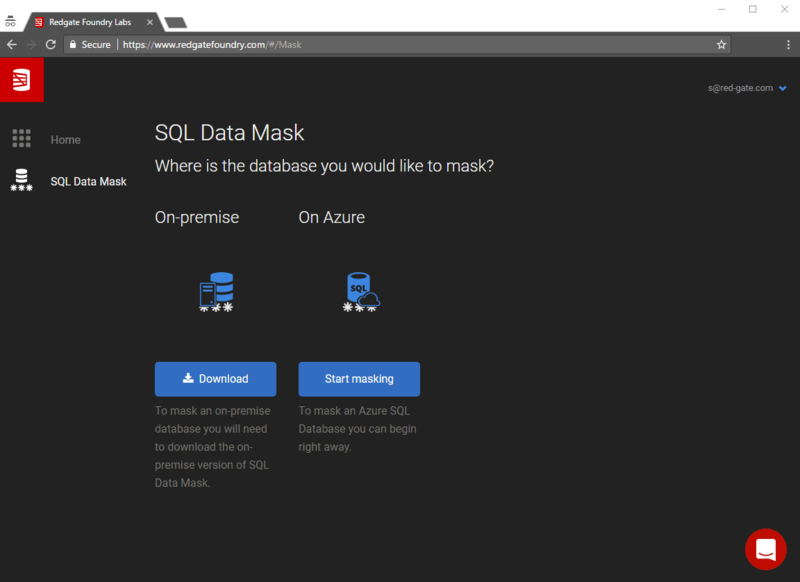 Redgate is announcing a version of SQL Data Mask that would mask on-premises SQL Server databases, as well as Azure SQL Databases. Things move fast in Foundry, Redgate’s research and development division. In our last update three weeks ago, we announced our intention to build a version of SQL Data Mask that would mask on-premises SQL Server databases, as well as Azure SQL Databases. We’re pleased to say this version is now available. 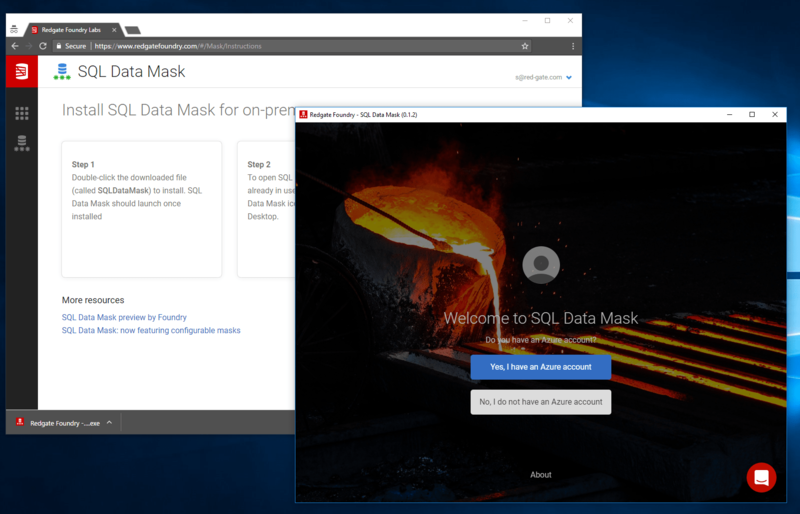 If you’ve previously tried SQL Data Mask, you’ll know that it’s available from Redgate Foundry (as with all our prototype tools). This is also the starting point for masking an on-premises SQL Server database. 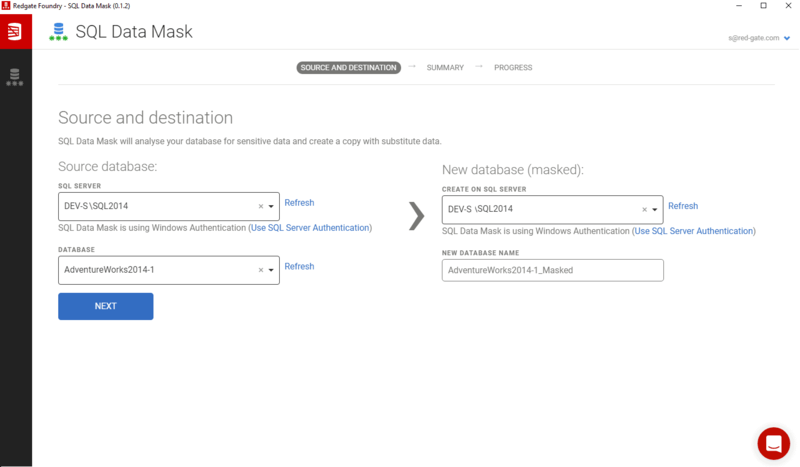 Once installed, SQL Data Mask will launch automatically and look very similar to the web version (we’ll talk more about how we’ve done this soon). 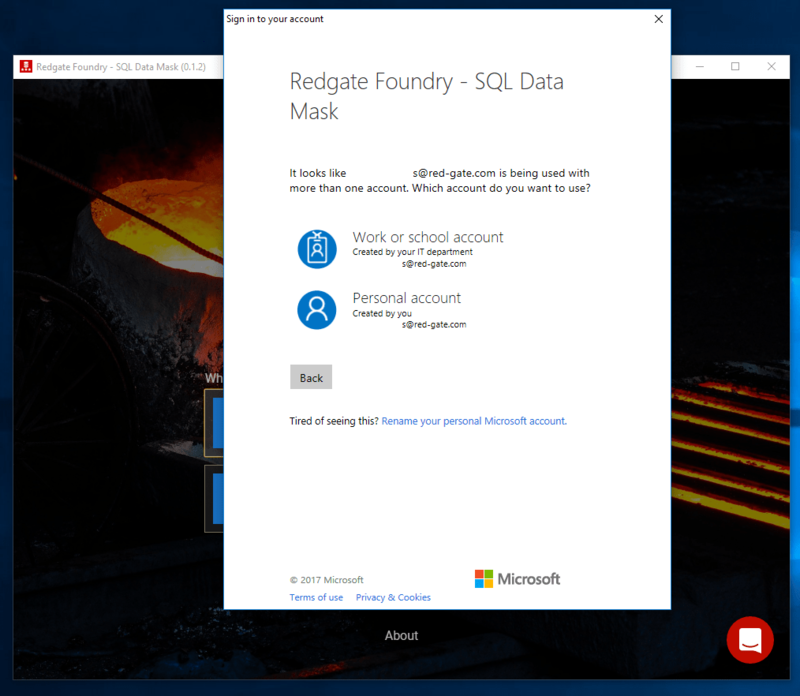 Simply log in to the application in the same way that you log in to Redgate Foundry. Logging in helps us work more closely with users so we can develop SQL Data Mask with your help (in fact, you can talk to us in-app by clicking the red bubble in the bottom-right corner any time). The server list gets populated by auto-discovering the servers in the network available to the machine where SQL Data Mask is installed. Also, notice that you have the ability to use SQL Server Authentication if you prefer. Once you’re happy, hit Start Masking and let us know how you get on! Naturally, we’ll continue to make SQL Data Mask more robust, capable, and flexible, but we’re also interested to know more about where data masking fits into your workflow. Do you need to share information about the masking choices you made in order for colleagues to be able to reuse it? Would those choices change over time, or would they likely stay true forever? Send us and let us know.